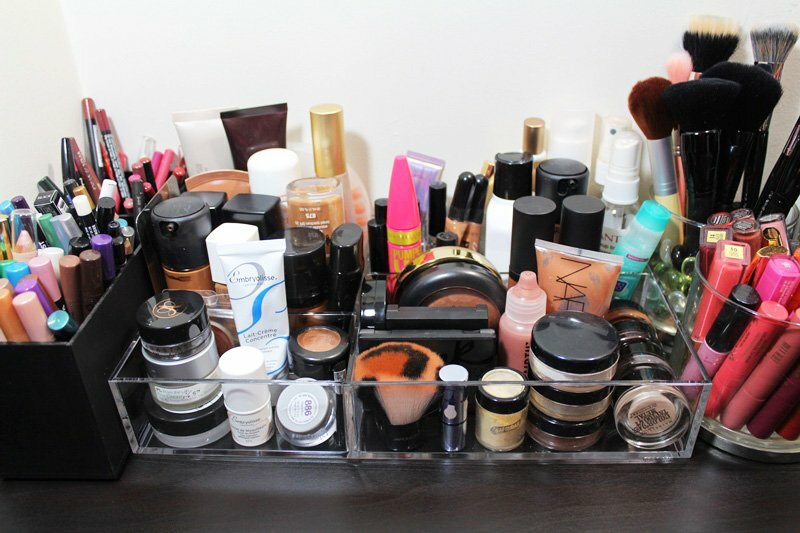 Although my makeup collection has changed a lot over the last year I’ve still been using my Ikea Helmer to store and organize most of my makeup. It’s been working out pretty good except for my essentials drawer. Rummaging through this drawer in the morning to find my cream eyeliner that’s somehow gotten lost under the brow cream and concealers. Or searching for a liquid illuminator and having to take them all out because they’re stacked on top of one another is annoying. I needed a better solution, so I cleared up some more space on top of the desk and headed to The Container Store. 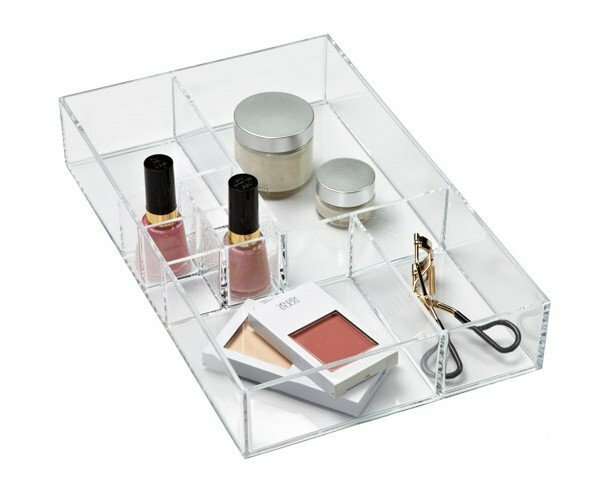 I chose this Acrylic Stacking Tray as it’s the perfect size for storing all of my makeup essentials plus a little more, and it was only 13 bucks. Acrylic makeup storage can be very expensive so this was a steal. The tray is very well made, sturdy and looks pretty on my desk. 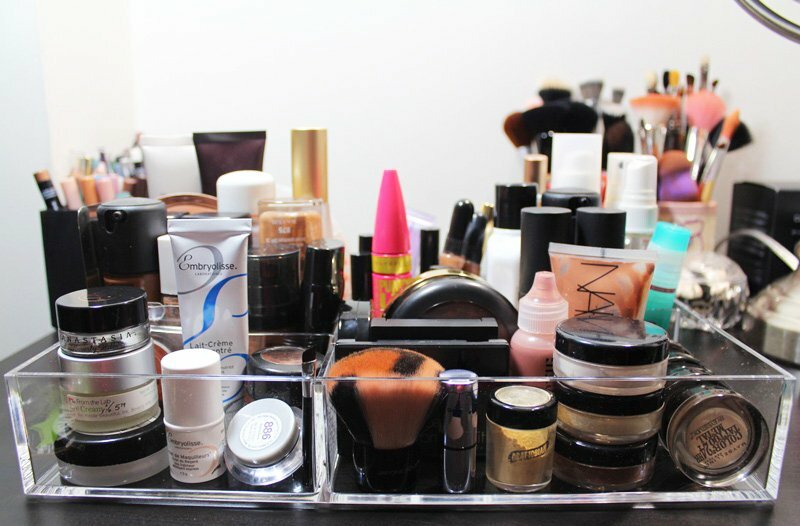 The sections are the perfect size for organizing different types of makeup. Especially the square section in the middle back that’s divided into four parts. 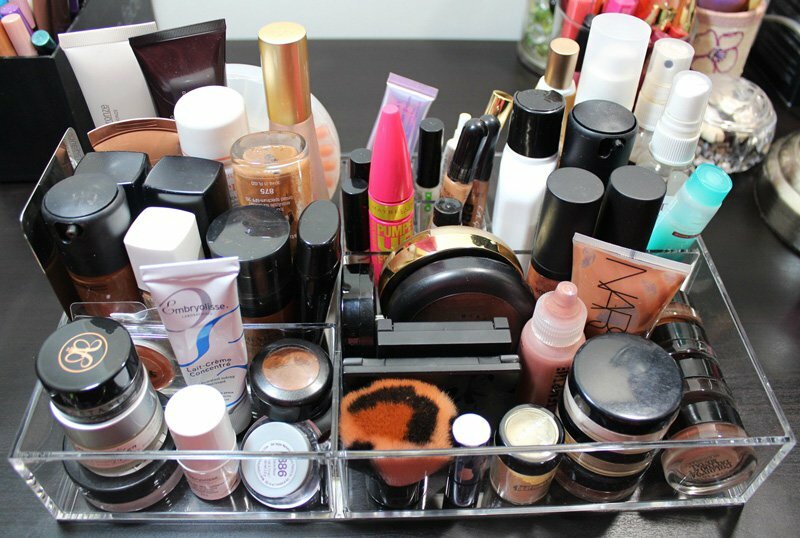 It works great for organizing things like mascara, brow gel, lash glue and eyeshadow primers. It fits perfectly in the space that I cleared for it without taking up any extra space. Getting ready in the morning has been so much easier now that everything I need is right at my fingertips. Also, clean up is a breeze. I’m really happy with this setup… At least for now! 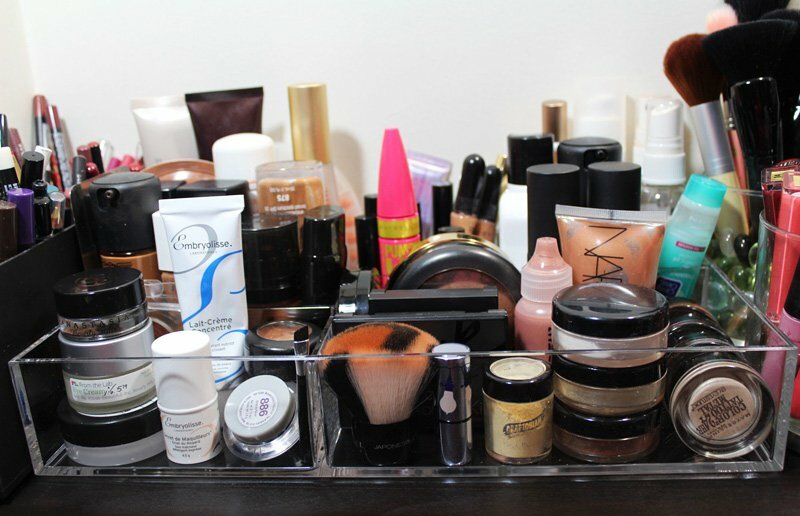 The exact tray that I have is the Large 8-Section Acrylic Stacking Tray. The dimensions are 13″ x 8″ x 2-1/4″ h. There are also other trays available with the same dimensions but different compartment sizes. Furthermore, the trays can be stacked on top of each other. All are available online at The Container Store.